Phoenix Frame is height and length adjustable, lightest movement, no waggle track design, accurate ratchets, Velcro leaders, easy grip hand wheels. Tin Lizzie Phoenix Metal Quilting Frame. Phoenix by TinLizzie18 is the frame specially designed for Ansley26 ESP. Phoenix is adjustable in height and stretches out to king-size (144 inches). With Ansley26 ESP and Phoenix, size limitations are no longer an issue! This professional quality metal frame can be paired with either the Ansley26 ESP or the TinLizzie18 ESP. Just look at all of the features that come standard on the Phoenix frame. Height adjustable for any user. Length adjustable for any size room. Upgradeable from 18 to 26 without having to switch frames or vice versa. One touch fabric leveling for the pick-up roller. Largest usable throat space due to the frame design among all of the long arm companies. Lightest movement compared to any other frame on the market. No waggle track design for accurate, easy movement. 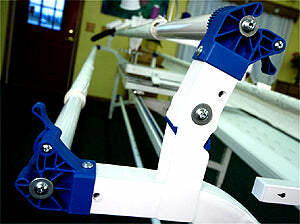 Batting bar for large rolls and easy load features for both on bar and quilt loading. 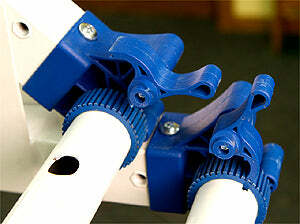 Highly accurate ratchet assemblies for perfect fabric tension. No bump fabric clamps for easy edge quilting. Velcro leaders for off frame pinning and perfect quilt top alignment. 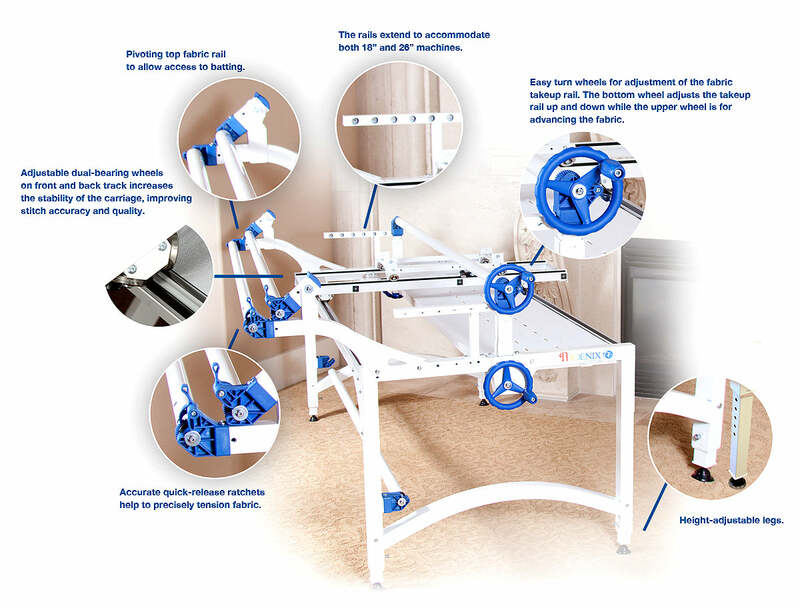 Easy Robot attachment pre-designed with the intent that integration is part of the quilting world, not just an add-on quilting feature. 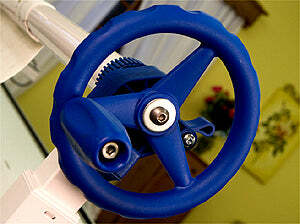 Large easy grip hand wheels. Stable all steel frame construction for heavy-duty use. Elegant curved design to enhance rigidity and functionality. 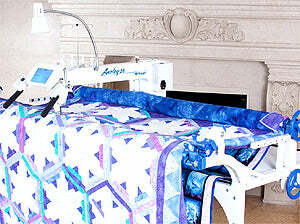 Fabric lift for the inevitable wrinkle / easy one step design for the ultimate quilter. Powder coated steel to resist chips and scratches to the finish. Large foot levelers to always keep your frame level and true. Click For A Larger Version Of This Image In A New Window. 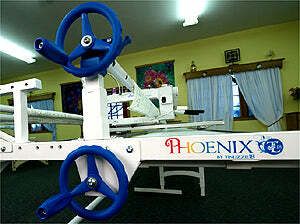 Tin Lizzie Phoenix Delivery And Setup. Exclusive in-home delivery and setup from your TinLizzie18 Retail and Learning Center! We offer (and even insist on) in-home delivery and set up. Our professionally-trained staff work around your schedule to bring you the industry’s best in-home setup and initial training on your new TinLizzie18 quilting system. You will know from the moment our staff arrives that this is no ordinary in-home delivery! From the initial setup to training on your new machine’s many features, proper pin-on procedure, threading and proper care of your quilting system, and more, our team will be there to guide you through the start of your new adventure.